As technology continues its rapid pace of development, hackers are continuously adjusting their tactics. Such is the case with the latest hacking trend, cryptomining. This newest form of deception gives the hacker the ability to slowly build anonymous cryptocurrency without a command and control link back to the culprit, making them essentially invisible with no way of tracing them. However, there are ways to protect yourself from these malicious attacks, and it starts with getting familiar with what cryptomining actually is. Unlike previous forms of hacking, cryptomining allows hackers to operate unnoticed in their victims’ computers. How? Because what they’re stealing isn’t data but your computing power. This allows them to continue to gain anonymous cryptocurrency as you browse the Internet. The hackers can take over anything from phones to Windows servers and laptops, making it a versatile means for making money every second of every day. The only sign of intrusion is slower loading speeds and possibly higher electric bills, which means most people who are victims won’t even know it. According to Forbes, this form of hacking could eventually become so problematic that government forces may have to get rid of cryptocurrency all together. But for now, you can take steps to keep your devices safe by using cloud browsing. Since cryptomining is anonymous and virtually undetectable, it’s important to keep your devices safe from hackers. According to Security Boulevard, using a cloud browser is one of the best ways to keep yourself and your data safe. This means you have to be running off-site and isolated to prevent any mining code from entering your IT perimeter and accessing your device. For now, this is one of the few defenses available against this new threat to your cybersecurity. 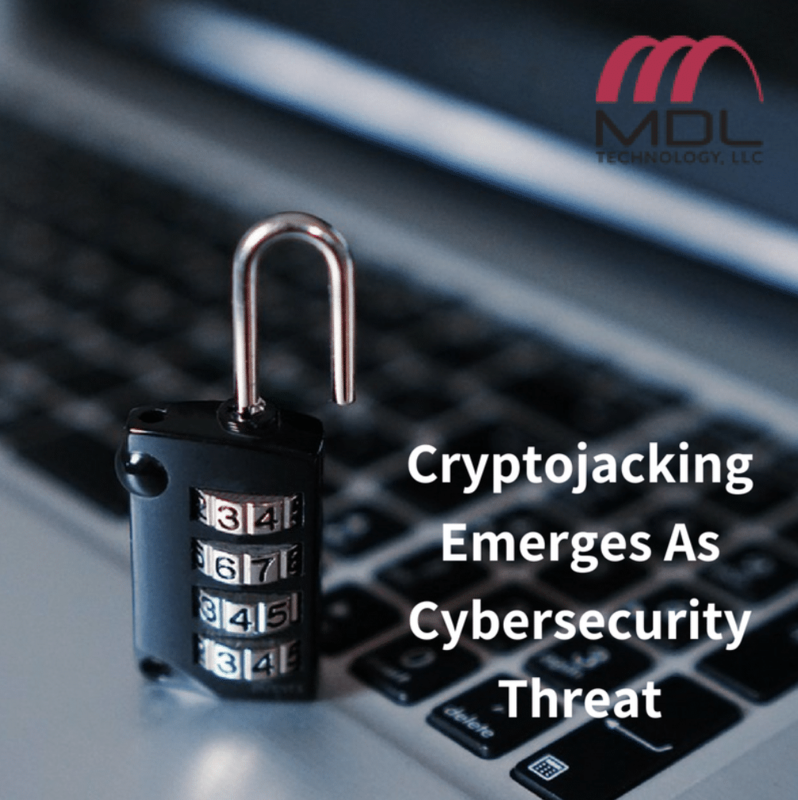 For more information about cybersecurity, check out MDL Technology’s website to learn more.